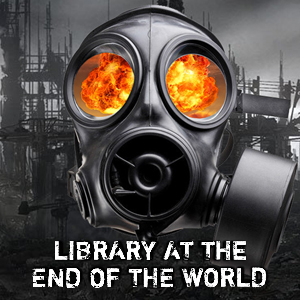 Library at the End of the World is hosted by noted survival and preparedness authority Jim Cobb. He's long been a fan of post-apocalyptic and disaster fiction and this show will focus on the books, TV shows, and movies that center on all the ways authors and directors have destroyed the world. We'll be talking about electromagnetic pulse, plague, nuclear war, alien invasion, zombie uprising, and so much more. Reviews, author interviews, even some real world survival and prepper tips along the way. This week, we're talking zombies with William Schlichter, author of the No Room in Hell series. He's an educator and we had a really good talk about the genre as well as his books. The Three Minute Survival Tip is a continuation of our honoring National Preparedness Month.